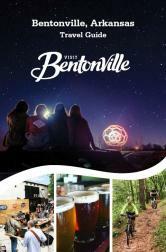 Visit Bentonville is always looking volunteers for photo and video shoots. These shoots could be planned months in advance or happen last minute. From biking to eating, you never know what the need may be. These are unpaid roles, and some could last 1-2 full days (although most last only a couple hours). If you are interested in participating, please fill out the form below and we just may contact you if you fit the role we are looking to fill.